Custom napkins are a great bet to add a personal touch and elegance to buffets, luncheon parties, wedding banquets and restaurants! No themed event can be complete without these logo imprinted napkins that are available in a palette of delightful colors and textures so shop right away from the fabulous collection of custom napkins in ProImprint. We offer attractive cash discounts on bulk orders, FREE artwork assistance on every order and a lot more! 100% customer satisfaction ensured! 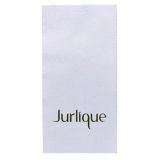 Personalized napkins are great options to impress your special guests and enhance the milieu of your dining room or bar during special events like company dinners and wedding banquets.Promotional napkins not just spread your message and display your logo but also make a smart and practical handout for restaurants, leisure and travel companies, sports bars, amusement parks, convention centers and catering services among others.These can be handed out while serving food or left on the table for everyone to use as needed. Cost effective and practical, custom napkins make handy gifts to impress your clients. No matter whether you are planning an elegant or a casual theme for your event, these custom napkins will create the right mood and add dollops of charm and festive fervor to the evening. 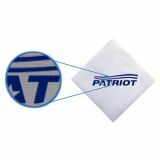 Promote your logo and message in a subtle yet effective way with these logo imprinted napkins that takes credit of a high level of impression. Just consider the duration of time an average consumer spends in a restaurant when your logo will be put to display right in front of their eyes till they leave. 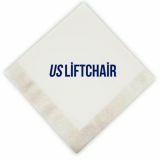 The most creative marketers can even use these custom napkins to imprint their signature dishes, new drink ideas or upcoming events to grab a few eyeballs of their customers.Schools and universities can use printed luncheon napkins to pass important messages to students regarding cafeteria rules or timings. Let’s be frank about it! Often a wad of personalized napkins is all it takes to nudge up the visual appeal and elegance to any occasion and to make even a low key luncheon party super special! Custom printed napkins also make wonderful employee gifts and party favors for birthdays, milestone celebrations, bridal showers or anniversaries. The best thing is that printed napkins enjoy a high level of portability and will live on for a longer time as keepsakes at the homes or cars of your patrons long after the dinner event! 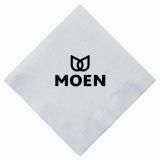 Custom napkins make great promotional gifts for mass events like tradeshows and food fests. 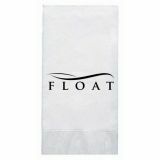 It can even be used for mailer campaigns or as gift box items by hotels. ProImprint will make a delightful one stop shop for all your custom napkin needs where you can easily shop for items that complement your promotional theme. 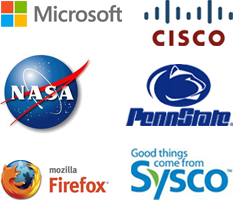 Should you need any selection tips, call us at 844-776-4677 or email us at info@proimprint.com and we can be of your assistance.